Females reach a body length of about 13 mm, males up to 8 mm. A variable species with a dark, distinct V-shape on the abdomen above which there a two pincer like markings. 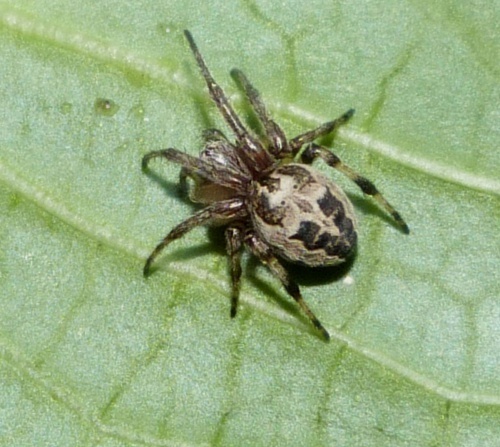 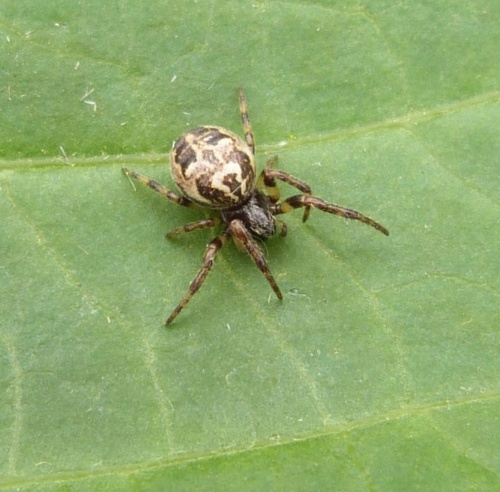 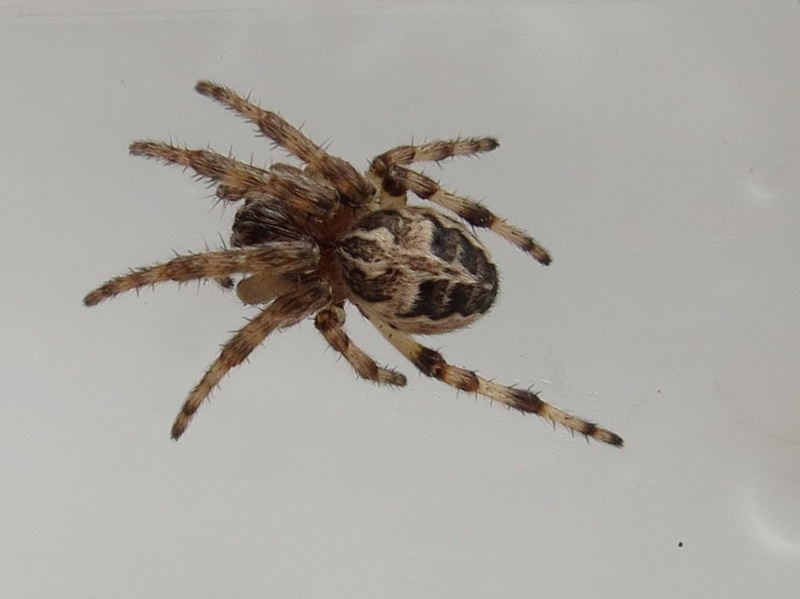 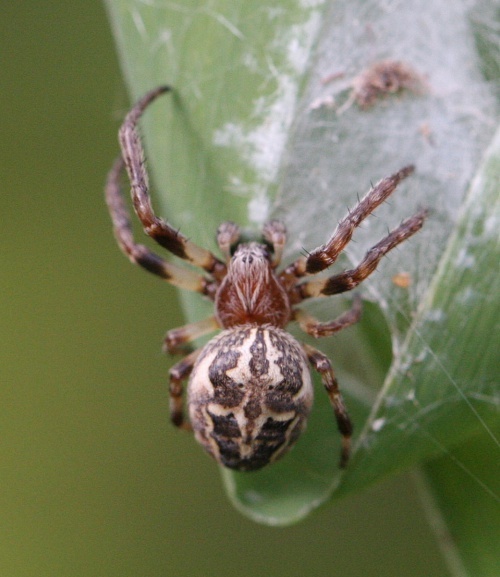 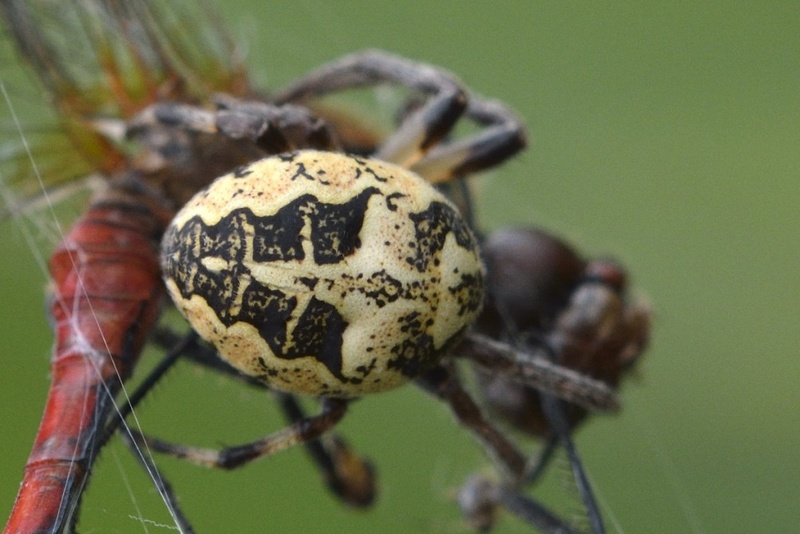 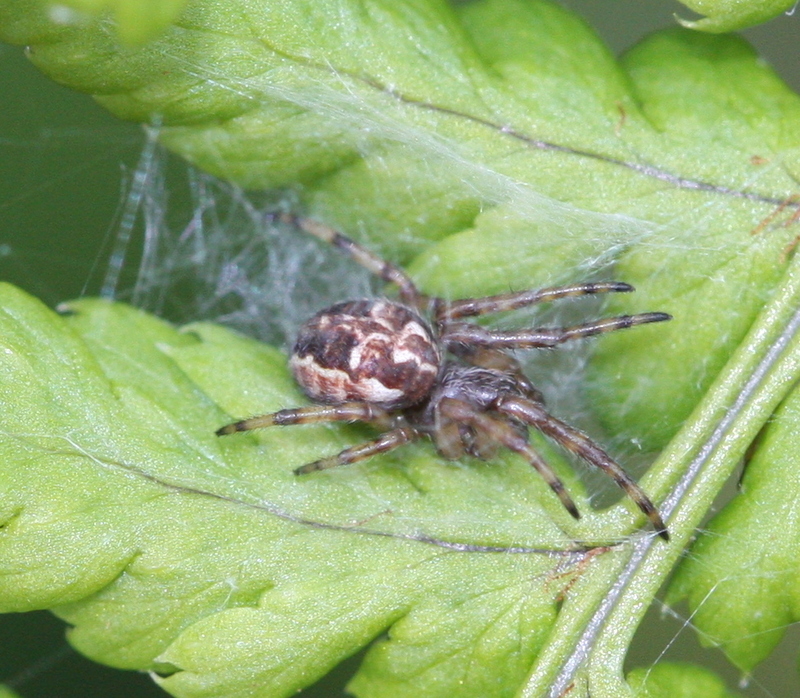 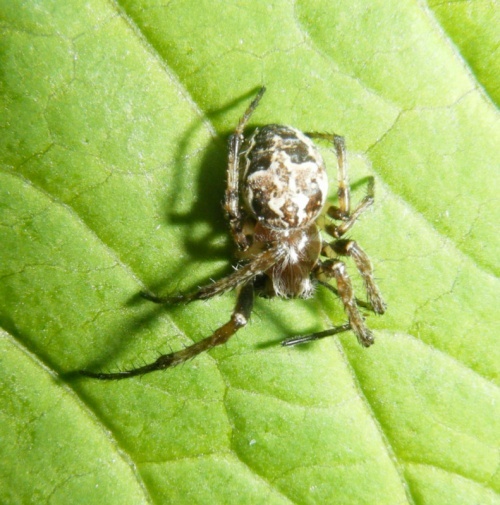 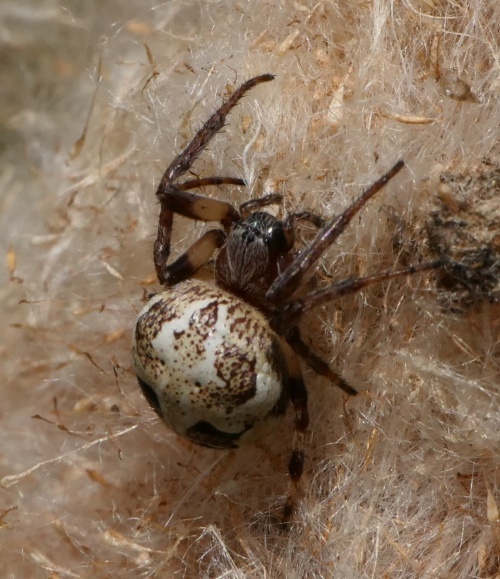 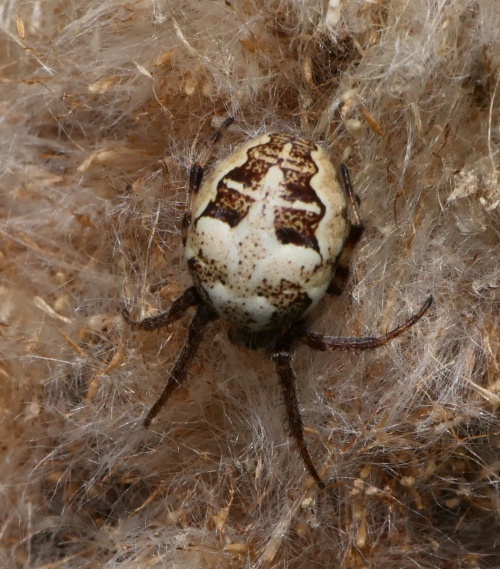 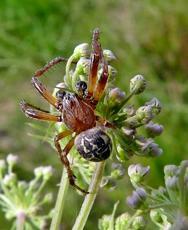 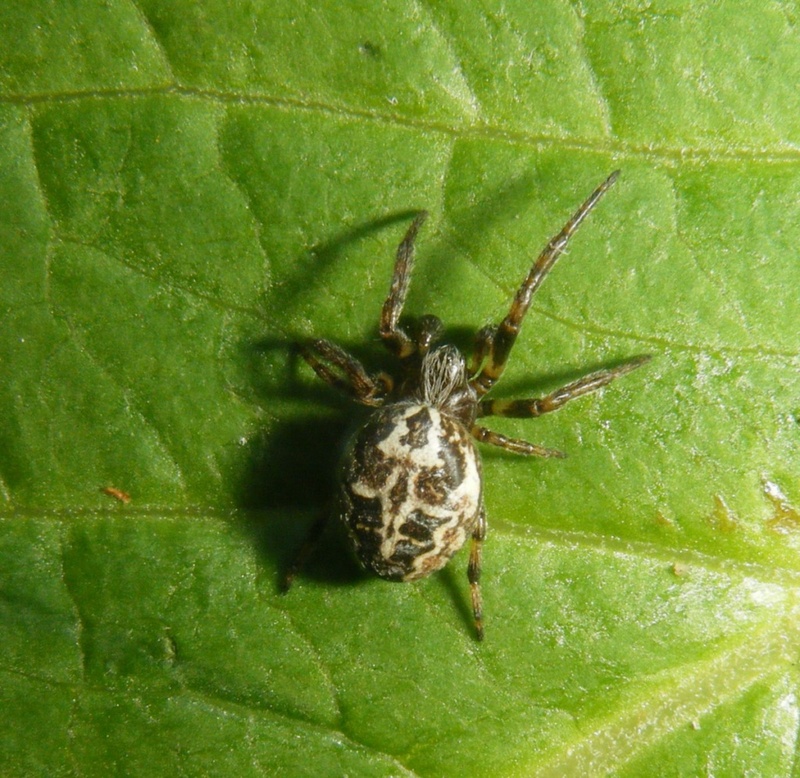 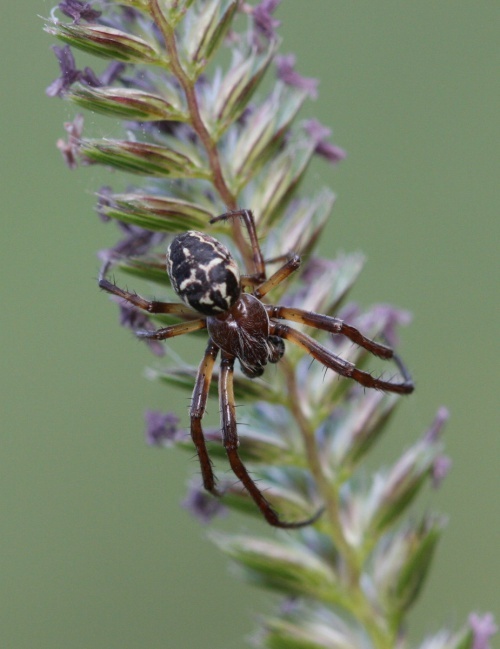 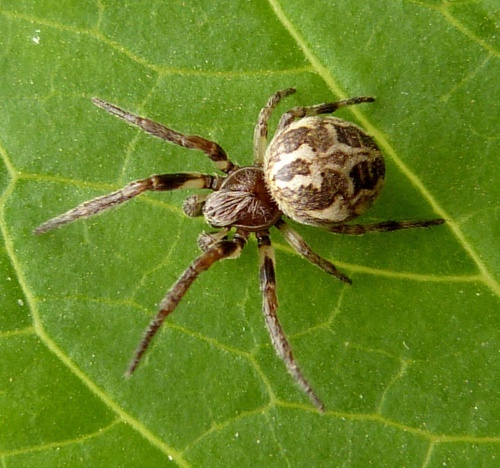 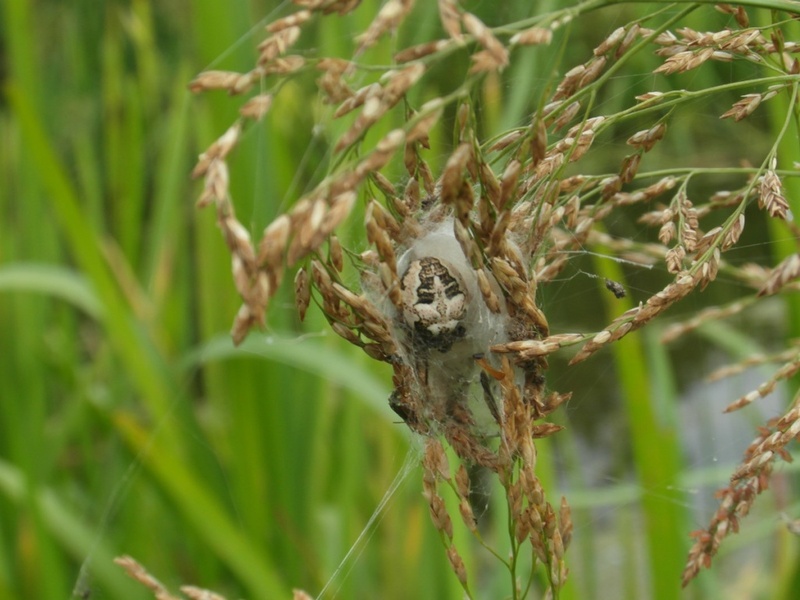 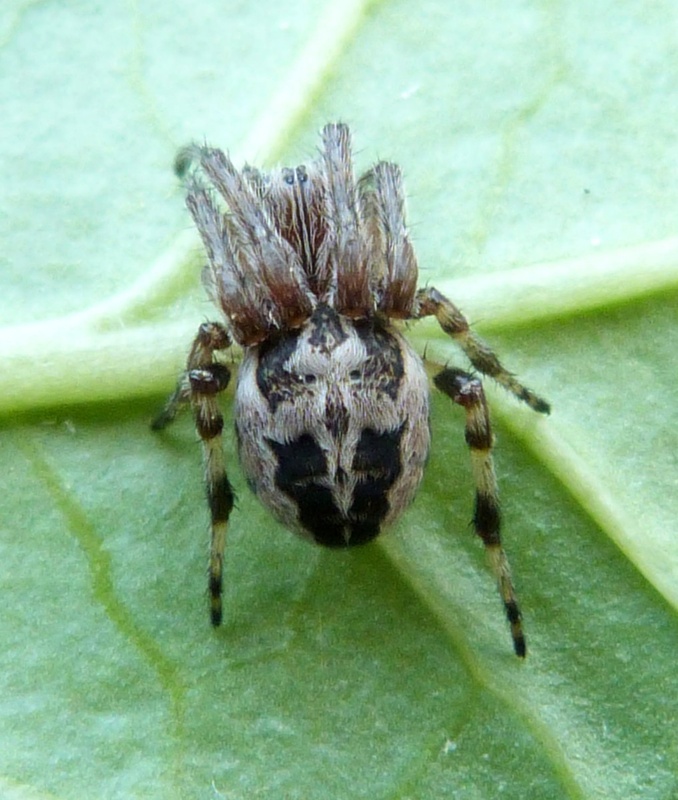 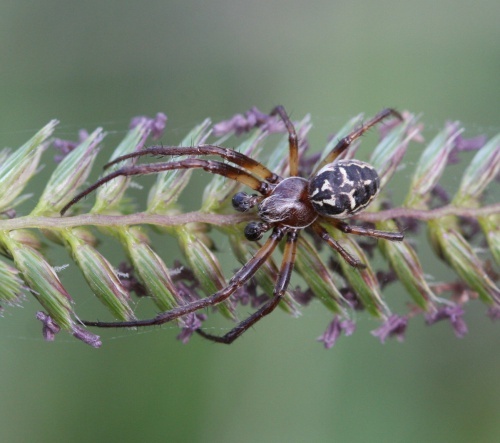 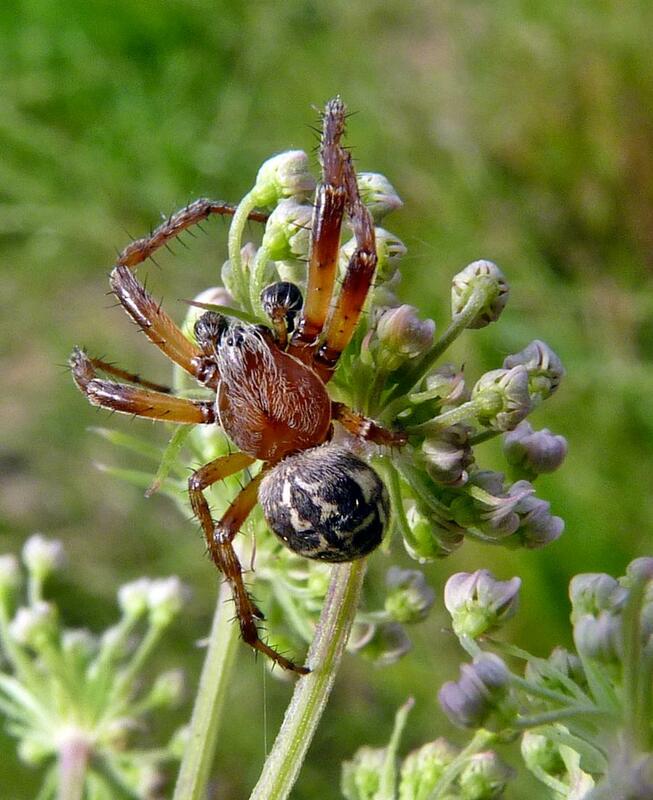 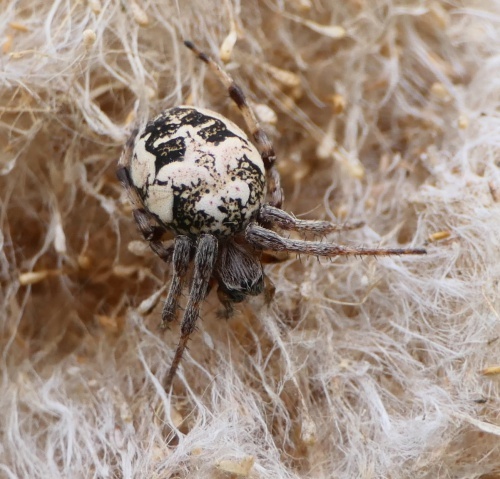 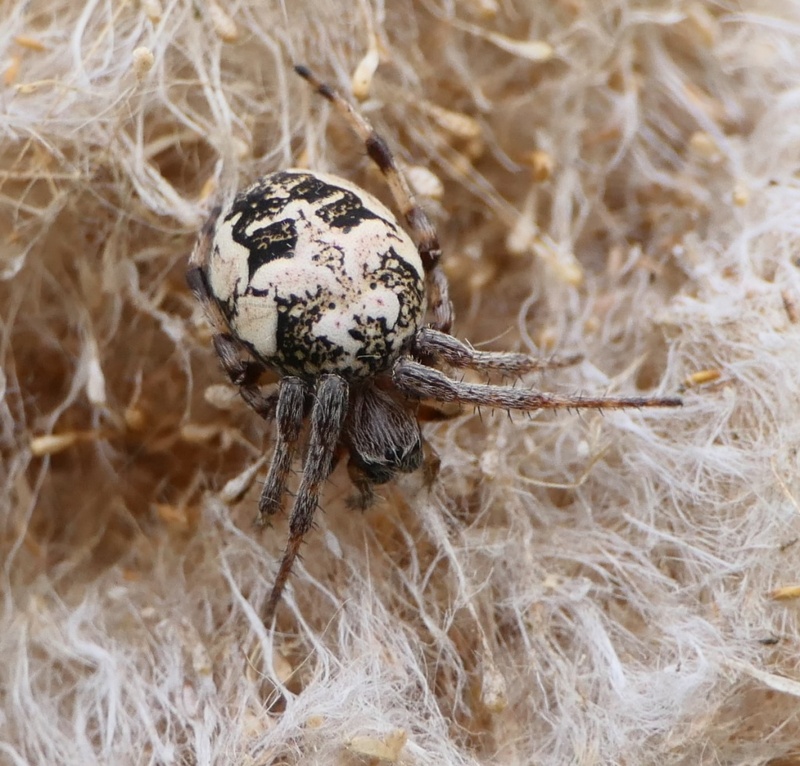 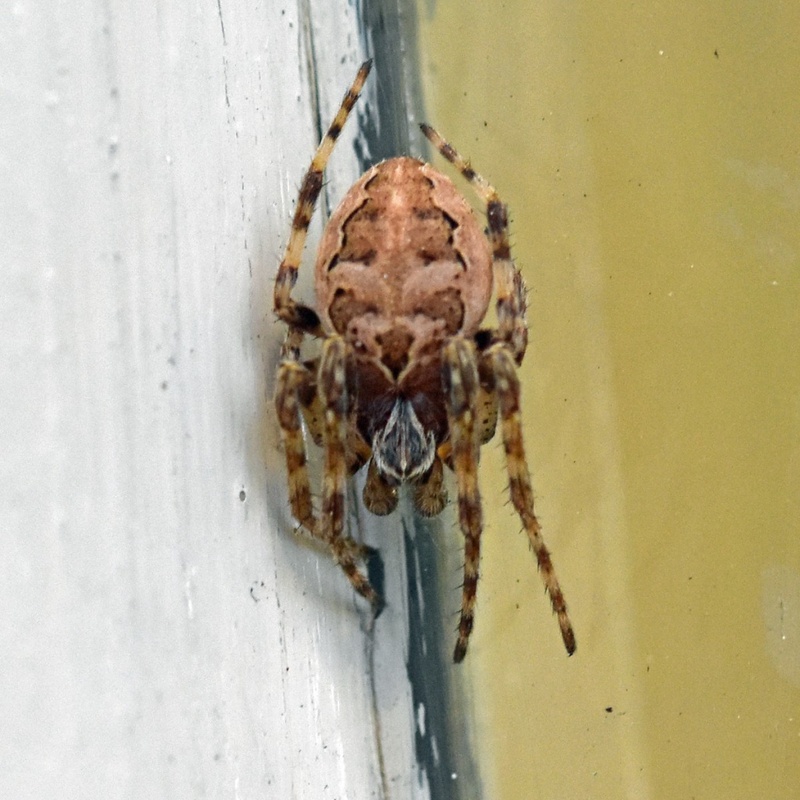 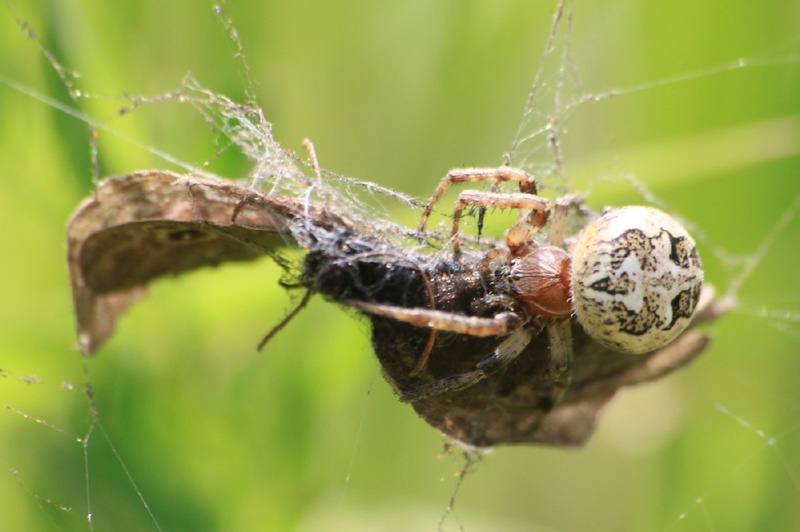 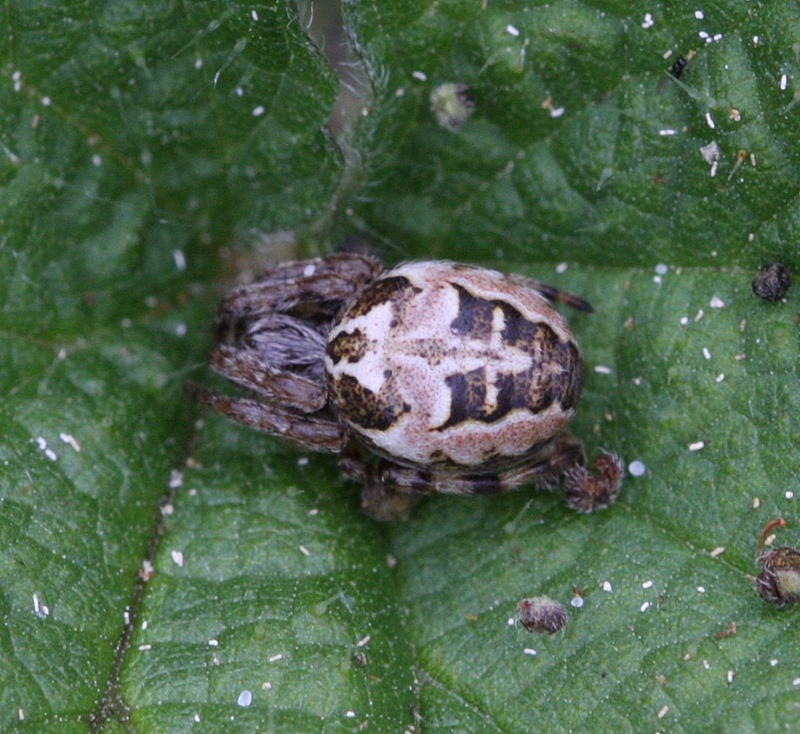 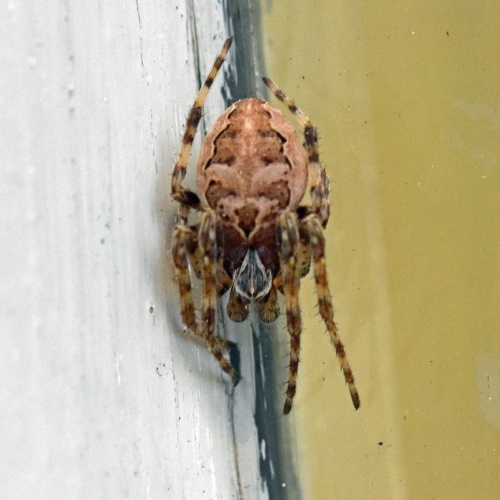 These spiders are most often found in damper areas, especially near to water. The web is built between grasses, or in low shrubbery. They hide during the day in a silken retreat that opens at the bottom, masked with plant and animal matter and leave it during the night. The web is remade in the evening. 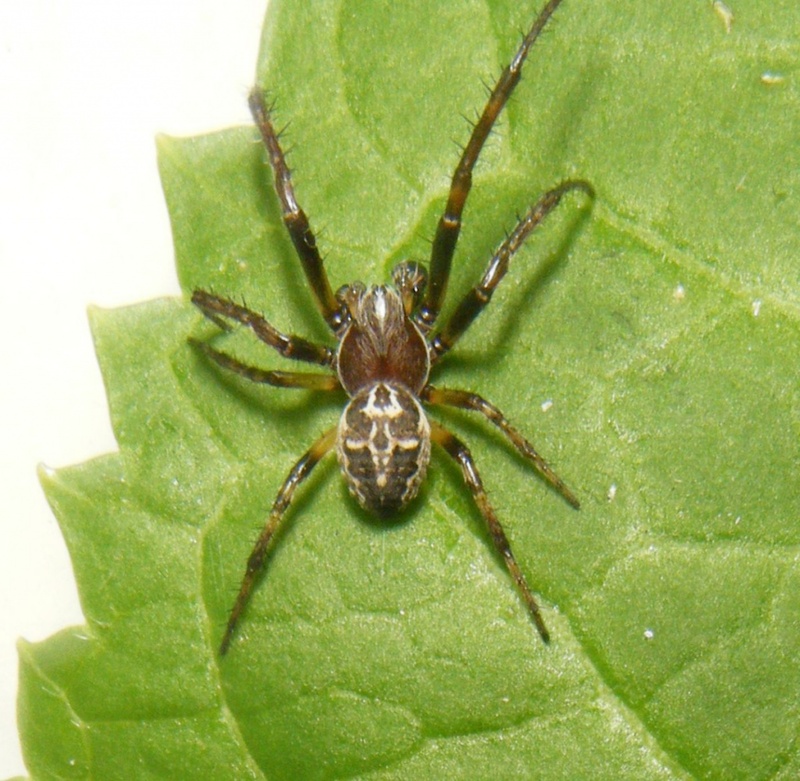 The male lives with the female during mating time, which is in autumn and again in spring. The female produces three to five yellow egg sacs during the summer. 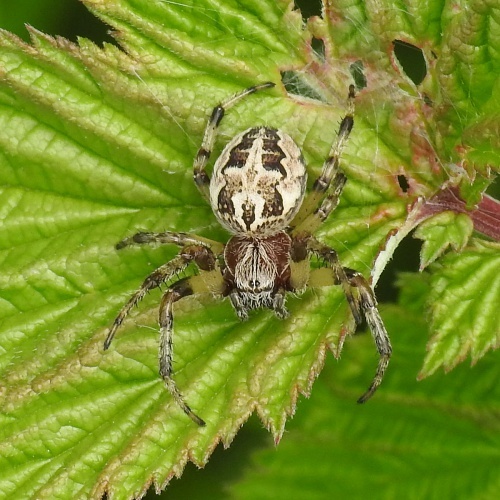 7,479 British records to 2015.